DEVIL MAY CRY 4 is a hack and slash video game that was published and developed by Capcom in 2008 for the Playstation 3 Xbox 360 and Windows platforms. 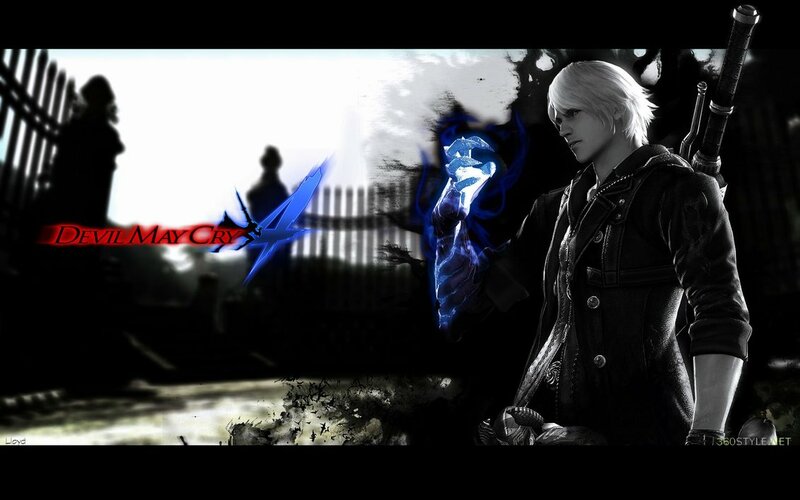 "And Now Mac" The game is the fourth installment to the Devil May Cry Series. â€¨2. Double click on the wrapper. 7. Close all windows and play! It hasn't been tested but you should download and let me know. I followed your instructions, but it crashes on start up. I'm on an a 2011 MBP 13"
step 1.Right click on the wrapper show package contents click the wineskin icon. step 2. go into set screen options set the resolution to your machines screen resolution if that don't work try the automatic screen setting. fixme:d3d:debug_d3dformat Unrecognized 0x42563252 (as fourcc: R2VB) WINED3DFORMAT! Unhandled exception: page fault on read access to 0x00000008 in 32-bit code (0x46596af6). It didn't work. Same result. Best port so far. WORKS GOOD ON MY '07 iMac! Also I tried putting the BlazBlue CT files inside the drive_c folder & it seems that MAYBE it has a potential to work I actually got to the launch screen where u can change the controls etc. but couldnt start the game. I've looked everywhere for a DMC4 port for Mac, and finally found one, but I can't get it to work! I've tried what's been suggested in this thread, and I've tried various things myself, but once I open the game it either crashes before anything happens, or it comes up with a black screen a few times, and then just stays there. In the advanced Wineskin settings I've checked the "Use Start.exe" since that seems to get me as far as possible. I know the game can run on my Mac, since I've tried it through bootcamp, and it works fine there, I'd just love to have it on my Mac partition, so I don't have to switch back and forth all the time. [3180003.238] _XSERVTransmkdir: ERROR: euid != 0,directory /tmp/.X11-unix will not be created. [3228178.621] _XSERVTransmkdir: ERROR: euid != 0,directory /tmp/.X11-unix will not be created. This game doesn't seem to be responding to well with 2011 mac-book pro's but try using a fresh wrapper and dragging the game files over. For more detailed description go to page 2 of the forum where I explained things to kiaiko.